The League of Legends champions for this week. 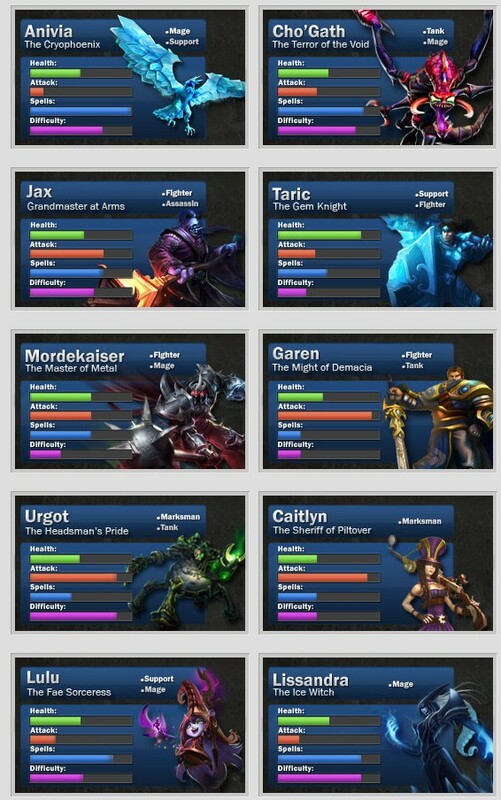 At first glance, Caitlyn and Garen stand out as champions I want to try, focusing more on Caitlyn since she is ranged. Taric is one I would like to try because he reminds me of a paladin, able to heal and support others yet damage well with a hammer. I noticed with tank type characters I will try to build them to do high damage. Tanks rarely perform well damage wise so their fights tend to be slow, which I am adjusting to. This is in all games which is why I rarely play a character as a tank. This will definitely be a “push your boundaries” week.